Join museum facilitators Helena and Janna and hear all about Saint Brendan’s wonderful travel stories meeting mermaids, griffins and sea monsters. 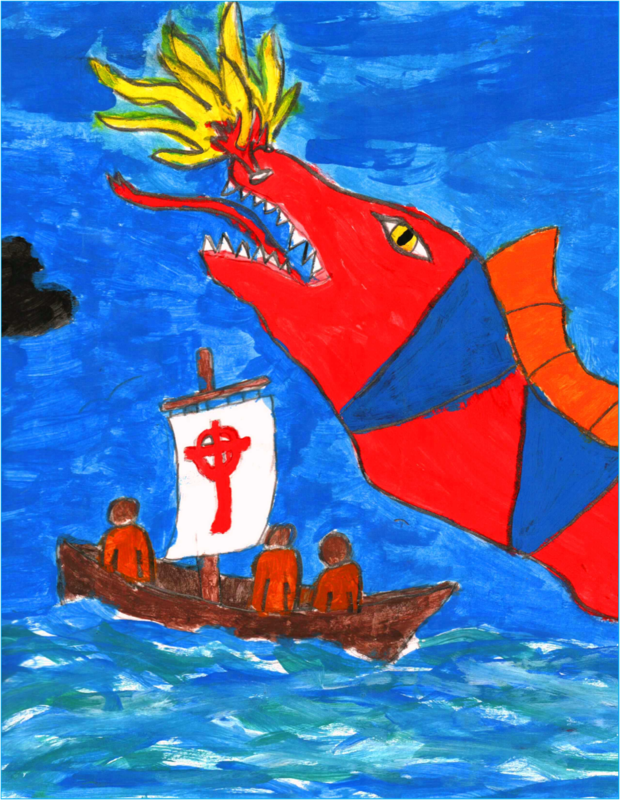 Saint Brendan’s feast day is on 16 May and he is the patron saint of Kerry and all seafaring people. While you are listening to his stories, you can doodle away and draw your favourite story. Like all our Saturday family events, this drop-in workshop is free and included in our regular admission fee: €5 for adults, up to three children go free, a nominal cost of €1 applies to any extra children to cover materials. Please note that children have to be accompanied by an adult at all times. The duration for each drop-in session is about 30minutes after which you can explore the rest of the Museum, from digging up Viking skeletons to dressing up in medieval costume or exploring our Family trail through the main Museum Gallery. This drop-in session is organised as part of National Drawing Day with events taking place nationwide.